I don’t like being sold to. All of those advertisements that say, buy me, buy me — that’s gross. It’s not how I like to be informed about a product, and it’s definitely not how I want to sell my services to future clients. 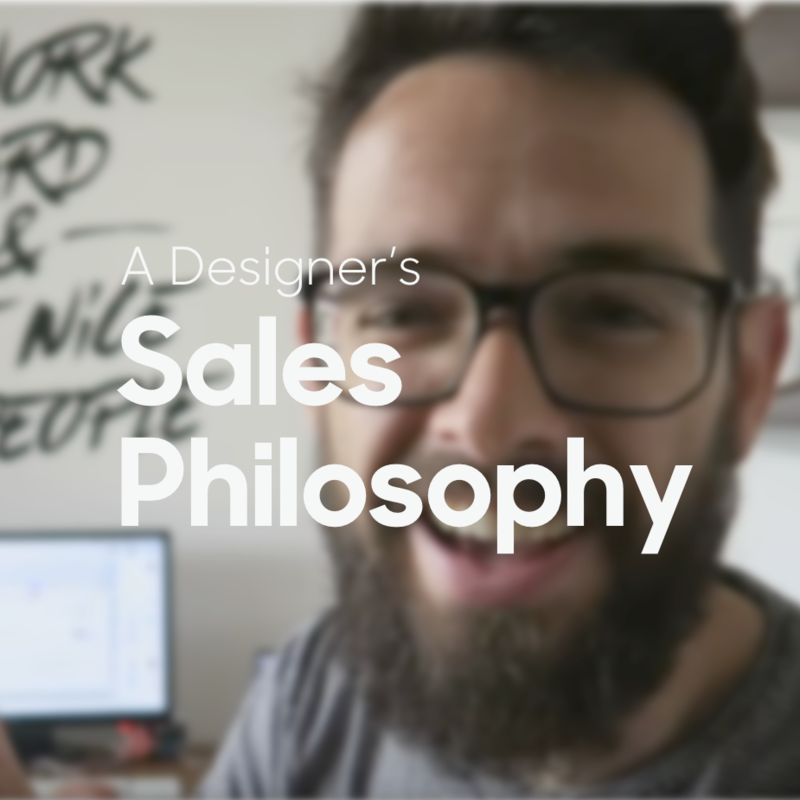 To watch me talk about this on video, press play — I start talking about sales around the 2:11 mark. When talking to a potential client, it’s in your nature as a freelancer to convince them why you’re the best at what you do. That’s how a freelancer has to survive, right? Not every project is the right project, and not every client is the right client. Instead of convincing clients that you’re the unequivocal best, make sure that the you’re the best fit for them — and that the project is a great fit for you, too. In the ideal client-freelancer relationship, you as the freelancer aren’t the creative slave of the client; you’re brought in for your expertise to work with the client on elevating their project. You’re not going to be the perfect fit for every project, but you’re not going to want to take every project either. In my negotiations, I’m not trying to say, work with me! I’m amazing! Instead, I tell them why I think it’s a good collaboration — what I like about them and their project, and why I have the insight and passion to help their team. When you’re a creative, who you are drives the work you do. It’s fair for your client to expect who are you to be a part of the work you deliver. That’s why when you meet a client, it’s unfair to them and it’s unfair to you not to bring yourself into that discussion. Take the dollar signs out of your eyes before you tell them why you’d love to work with them on their project. What you should be doing here is giving them all of the relevant information to make the decision that’s right for them — because when you chose to freelance, you made the decision that’s right for you. Ultimately, you don’t want to put yourself in a situation where the client is disappointed and you’re doing work you hate. It’s better to represent yourself honestly, so the client knows who they’re hiring and why — and you get an amazing testimonial and a project you love. Want to talk more about clients? Check out The Pricing Class, The nuSchool’s guide to presenting yourself to clients as the creative professional you are.